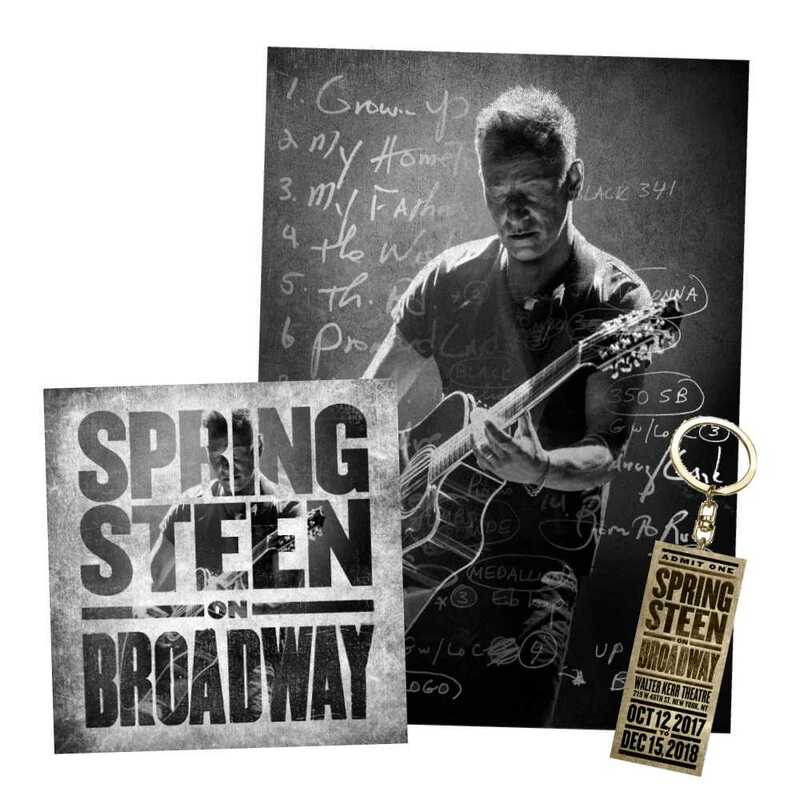 View Larger Springsteen on Broadway CD Super Bundle This bundle includes the Springsteen on Broadway 2CD album, keychain, and exclusive Springsteen on Broadway lithograph. SPRINGSTEEN ON BROADWAY is the new album of music and stories by Bruce Springsteen, and the soundtrack to the Netflix film of the same name. The album is the complete live performance of the show, and available physically as a 2 CD set, or on vinyl as a 4 LP set, as well as digitally. SPRINGSTEEN ON BROADWAY is the solo acoustic performance written and performed by Tony Award, Academy Award, and 20-time Grammy Award winner Bruce Springsteen. Based on his worldwide best-selling autobiography 'Born to Run,' SPRINGSTEEN ON BROADWAY is a unique evening with Bruce, his guitar, a piano, and his very personal stories. In addition, the show features a special appearance by Patti Scialfa. 2. Born In the U.S.A.